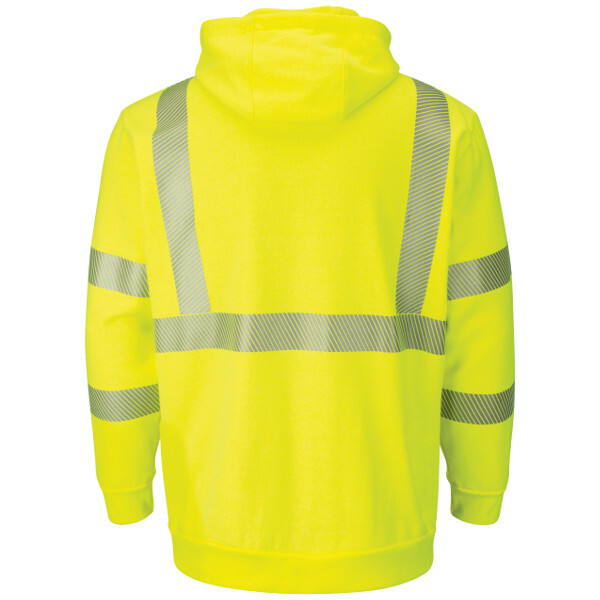 Type R, Class 3 Garments Intended for use by personnel exposed to vehicular traffic from public access rights of way or roadway temporary traffic control zones. 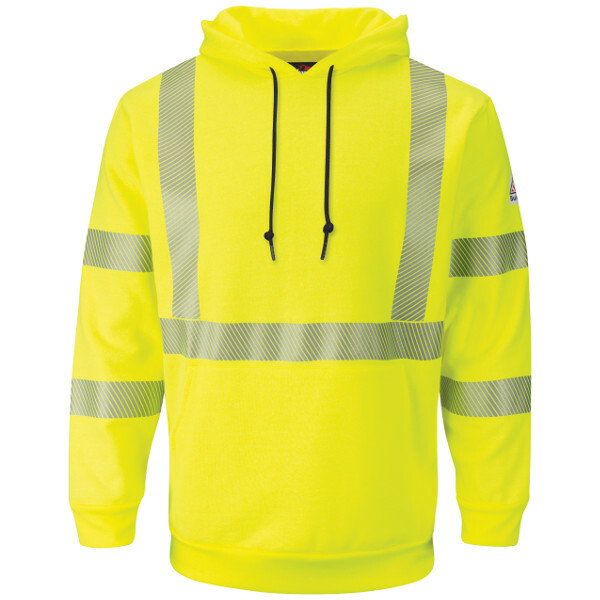 Class 3 garments mandate an even higher standard of visibility for workers in moving, complex backgrounds. 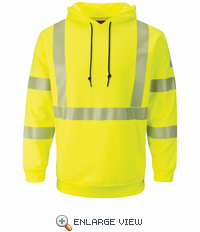 360 visibility with front and back 2" flame resistant heat seal silver reflective striping › Single-ply three piece hood with drawstring closure › Rib knit cuff and waistband › Large hand warmer pocket, concealed smaller pocket inside front pocket. Protection: Arc Rating ATPV 20 calories/cm² ANSI 107-2010 Class 3, Level 2.